Frosty the Snowman is a touchstone of the holidays for millions of people, summoning fond memories of Christmases past. 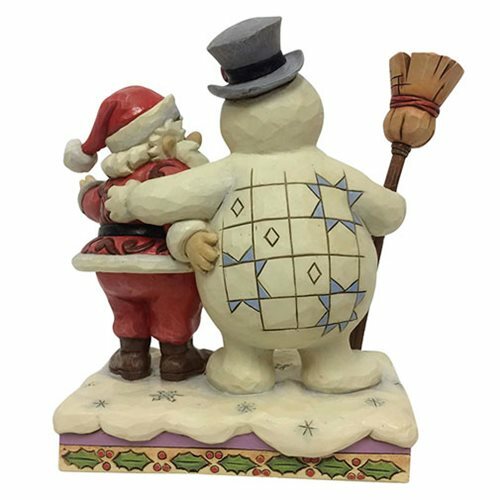 This heartwarming collection reimagines the film's most iconic scenes in Jim Shore's signature folk art style. Santa brings Frosty back to life after the overheated snowman made a real splash in the greenhouse. 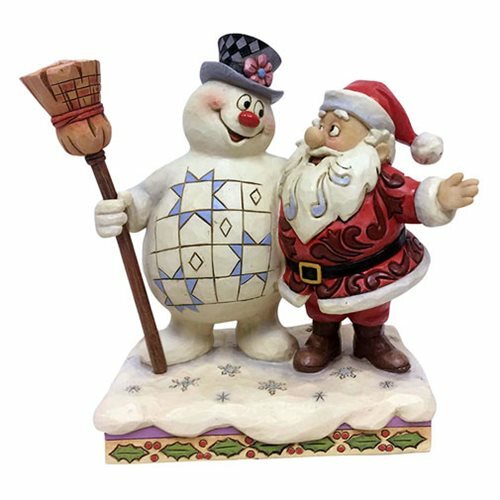 The two jolly figures celebrate the miracle of Christmas in this handcrafted design, beautifully sculpted from high-quality stone resin and hand-painted in exquisite detail. Brimming with holiday cheer, this statue is an instant classic just like the beloved Christmas special. 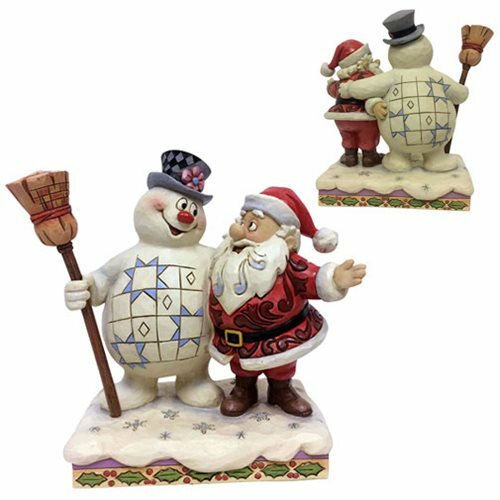 The Frosty the Snowman Frosty and Santa Hugging At Home In The North Pole Statue by Jim Shore measures about 7 1/2-inches long x 7 1/10-inches tall x 3 3/4-inches wide.